Gamers and computer users come in all shapes and sizes, from the novice user to the seriously advanced gamer who has relied on a capable monitor since the days of Pong. 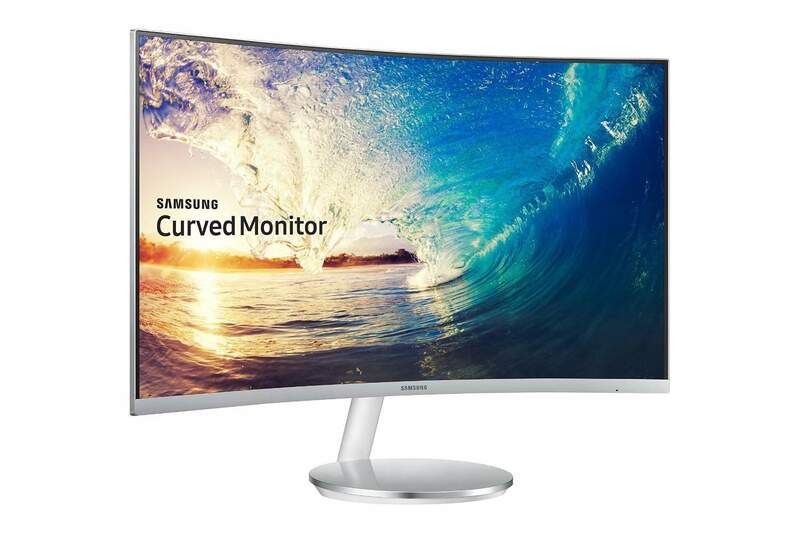 The latter already knows what they need/want in a monitor and that the Samsung S22F350 is geared towards novices. Capable, functional, reliable and affordable sum up this monitor quite nicely. This is exactly what the new or casual user needs, an affordable yet remarkable gaming monitor. There are no bells and whistles here with the 22” model. There are no internal speakers or speaker ports, the 1920 x 1080 resolution is standard fare, 1000:1 contrast ratio is comfortable to look at and it supports 16.7 million colors. If tilting is an option that you want, pay close attention to the specifications before you make your purchase. The 22” model does tilt, but others sizes may not. This monitor has been popular ever since it was released. This speaks to the reliability of the monitor and the fact that it delivers what it says it will. It may not have a lot to offer, but what it does offer to you, it gives you. There are no surprises here. It also does not hurt that the price tag is very reasonable. With the overwhelming popularity of X-boxes with their numerous functions and capabilities, you will be happy to know that this monitor is X-box compatible as well as compatible with any modern keyboard. Just to be clear, there are many functions that can be accomplished by hooking up the monitor to either of those devices, but those many functions will be limited by the specifications of the monitor itself. For example, on a more advanced system, there will be virtually no blur or lag or shadow with the sudden and fast movements of characters during a game due to the quick 5ms response time. This is a basic monitor that supports basic games just fine. When the time comes that you “level up” is your all-around gaming skills, you will want to level up your monitor as well. Two options that are good for any level, though, is the blue light and auto shut down. Out of the box, this monitor was made to shut itself off after a certain period of inactivity. If you go into the settings, you can disable that feature. Also out of the box, the lighting of the monitor is standard. Also in the settings is an option for you to turn on the low blue light option. This is a great option to have if you anticipate spending hours on end looking at the screen. Low blue light puts less strain on your eyes. High strain will leave your eyes fatigued and that is not a good thing. So the low blue light option is a good one to have. Moreover, the Samsung S22F350 also features the Eco-Saving Plus feature which automatically dims the brightness in order to save energy. The appearance of the Samsung S22F350 features a glossy black cabinet with only a 10mm slim design. The bezel is around 0.5-inches thick but it still makes the monitor look modern and sleek. It is VESA mount compatible with the 75 x 75mm pattern allowing you to easily install it on the wall or a mounting arm. As far as ergonomics are concerned, only the screen of the monitor can be tilted by -2, 22 degrees. Most of the reviews that you may read for this monitor will show you that people are surprised when they find out that the HDMI cord comes with it. You will not have to go out and buy your own. This is not exactly a feature of the monitor itself, but more like an added bonus. A customer service feature if you will. Some would say that it compensates for the fact that the screen has limited angle viewing, and that is fine, but the HDMI and VGA cables come with the package. The Samsung S22F350 is currently (March 2017) available for only $100. The sleek design, practical features, and the exceptionally good performance make it of great merit for the price. 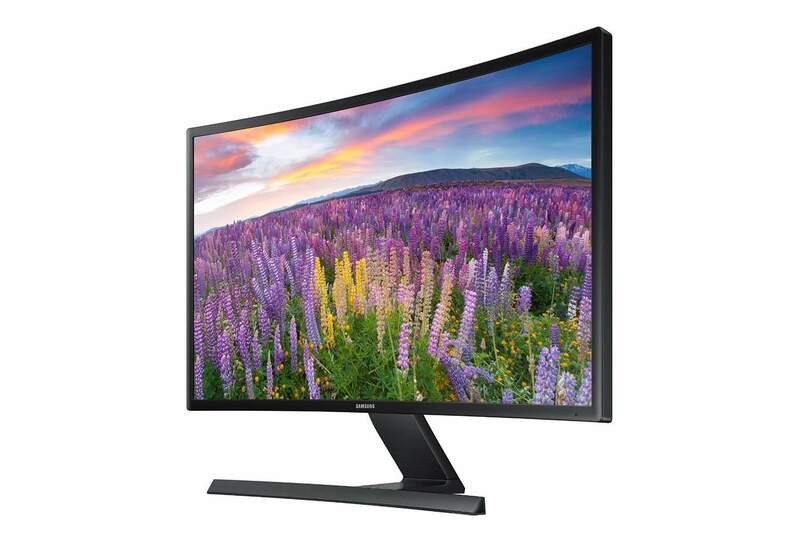 This monitor is also available as a 19-inch version, the Samsung S19F350, for an even more affordable price of $80. There are bigger models as well including a 24-inch, a 27-inch, and a 32-inch, all of which are available at an affordable price. You can check them at the following links. The Samsung S24F350, the Samsung S27F350, and the Samsung S32F350. 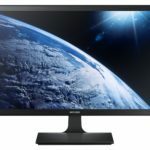 The Samsung S22F350 is a beauteous budget monitor that is worth much more than it costs. The crisp Full HD 1080p image quality and the quick 5ms response time make it ideal for gaming as video games will run smoothly yet overflow with details. The sleek design, eyesight-friendly features, and power efficiency make it great for the everyday multimedia use as well. 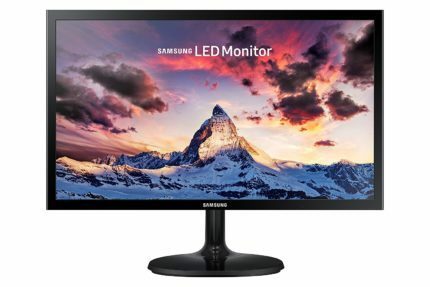 For the amount of money that this monitor requires, you can’t make a wrong choice by purchasing it. 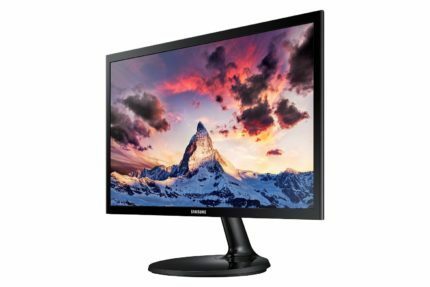 The Samsung S22F350 is an amazing monitor for the money. The Full HD 1080p resolution, quick 5ms response time, and the eye saver mode feature complement the beautiful design of the monitor and together make it an exceptionally great budget monitor.